We offer group home and auto insurance programs. Click here for more information. Click here to view a page that's all about the history of Local 504. Click here to view Local 504's current Executive Board listing. Click here to view a listing of Local 504's units, as well as unit-specific information. Click here to view a listing of Local 504's committees and their current members. 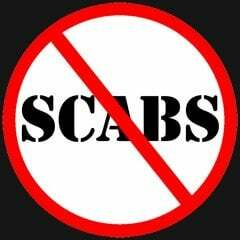 Click here to view Local 504's current and/or past events. Click here to view a listing of useful Labour Links. Click here to view Local 504's location and contact information.